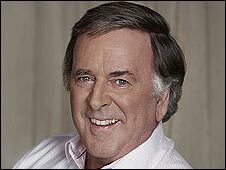 Sir Terry Wogan has announced he is to step down as presenter of BBC Radio 2's breakfast show. The 71-year-old told his listeners shortly after Monday's 0800 news bulletin, calling his decision to go "the hardest thing I have ever done". 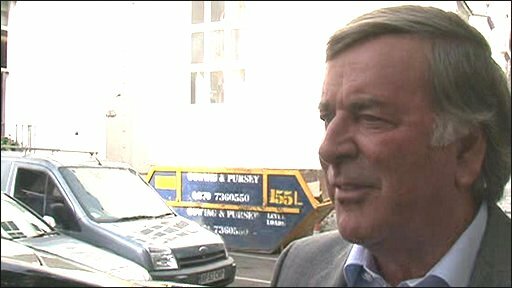 "It touches me deeply that I've played a part in your lives for, it seems, like generations," Sir Terry said. 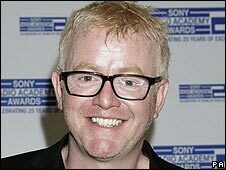 Chris Evans, Radio 2's drivetime host, will take over after Sir Terry stands down at the end of the year. Breakfast show listeners have already reacted strongly to the news on internet forums and chat rooms. However, Sir Terry said he was sure they would welcome his "good friend" Evans "with the same love and affection you've always shown to me". He went on to reveal he would host a new live radio show in the New Year, details of which will be announced at a later date. "This is not goodbye - not even au revoir," he continued. The veteran broadcaster first hosted the breakfast show in 1972, returning to the role in 1993. Wake Up to Wogan is the UK's most popular breakfast radio show with 7.93 million listeners each week. The final edition is expected to be broadcast on 18 December. Evans previously hosted Radio 1's breakfast show, bowing out in January 1997. He took over Radio 2's drivetime show, which runs daily from 1700 to 1900, in April 2006. Radio 2 controller Bob Shennan has paid tribute to Sir Terry, saying his contribution over the past 16 years had been "immeasurable". "His unique talent has provided millions of listeners with the soundtrack to their morning." Tim Davie, the BBC's director of audio and music, echoed those sentiments, calling the Irish broadcaster a "legendary talent". "I'd like to thank Terry for entertaining his army of fans for many years and I'm delighted that he has agreed to continue to entertain the nation on Radio 2." Writing on his BBC blog, Evans - winner of two prizes at this year's Sony Radio Academy Awards - wished Sir Terry luck with his future endeavours. "To step down from something you have done so well and for so long and obviously still enjoy doing must be a tough call, even for such a stoic as Sir Tel," he wrote. "I promise I will do my utmost not to let you and your listeners down." The announcement, he said, "was supposed to happen in two weeks' time" but had been brought forward due to press reports. "Although I will miss the drivetime show which I have loved for the last three-and-a-bit years, I couldn't be more excited at the prospect of hosting the flagship show on one of the BBC's national networks." "Taking over the reins of the Radio 2 Breakfast Show is a daunting task," said Bob Shennan. "But I'm 100% certain that Chris will prove himself a worth successor to Terry's legacy." Tim Davie, meanwhile, said Evans had "a huge personality" and that his new show would "open a new chapter in the life of the network". Simon Mayo is expected to take over from Evans as Radio 2's drivetime show host. The 50-year-old currently hosts an afternoon show on the BBC's 5 Live.